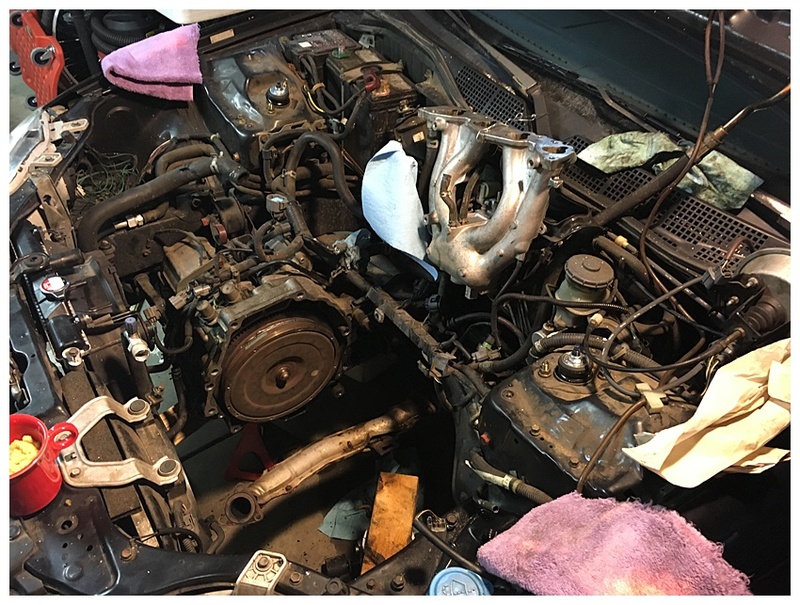 I started overheating on the way home from work and the longer trip I took included running the heater with the windows down to keep the car cool. The coolant reservoir lost some coolant but it wasn't leaking on the driveway. 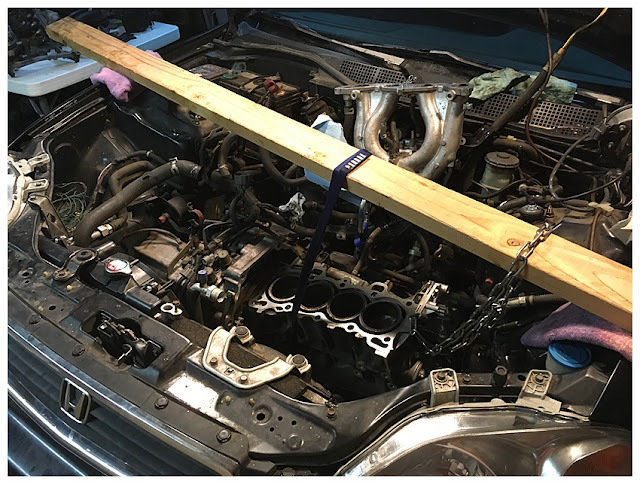 Why go through all this trouble for a car that is worth about $1,500? 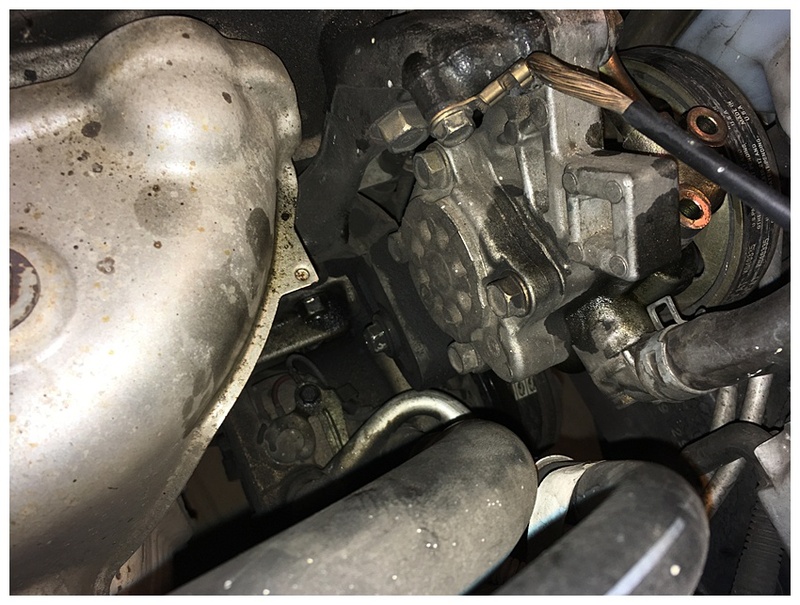 Because the car had new tires, new struts, a new resonator and tailpipe. 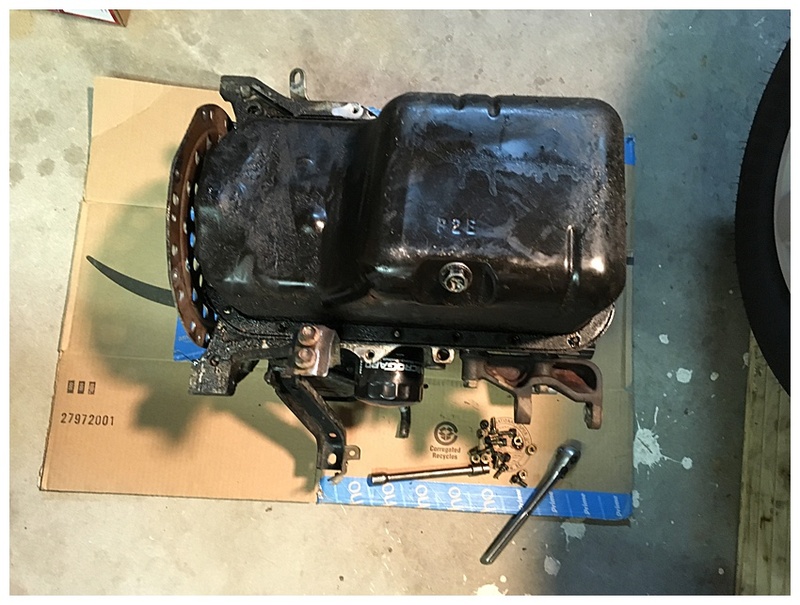 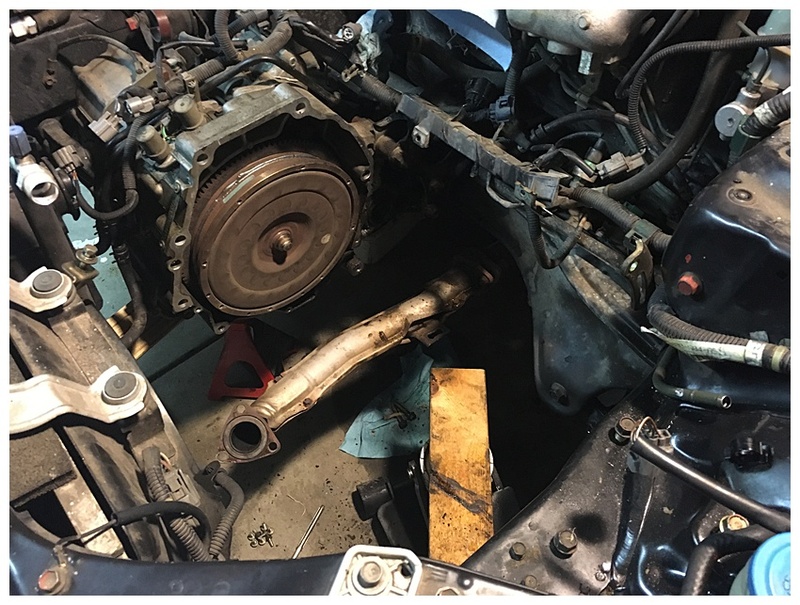 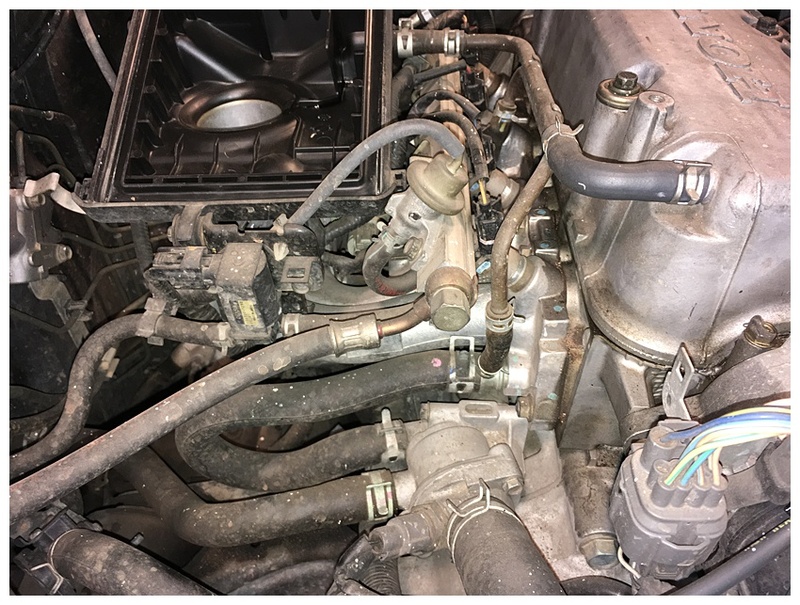 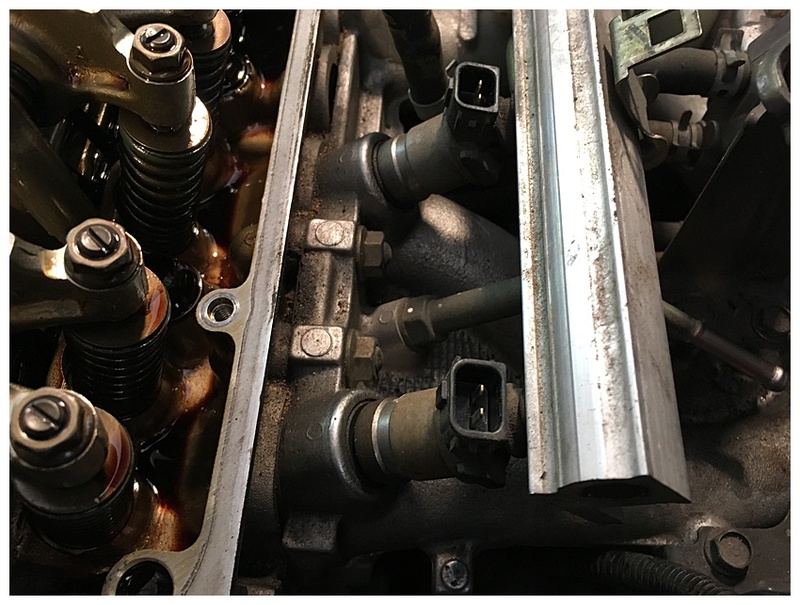 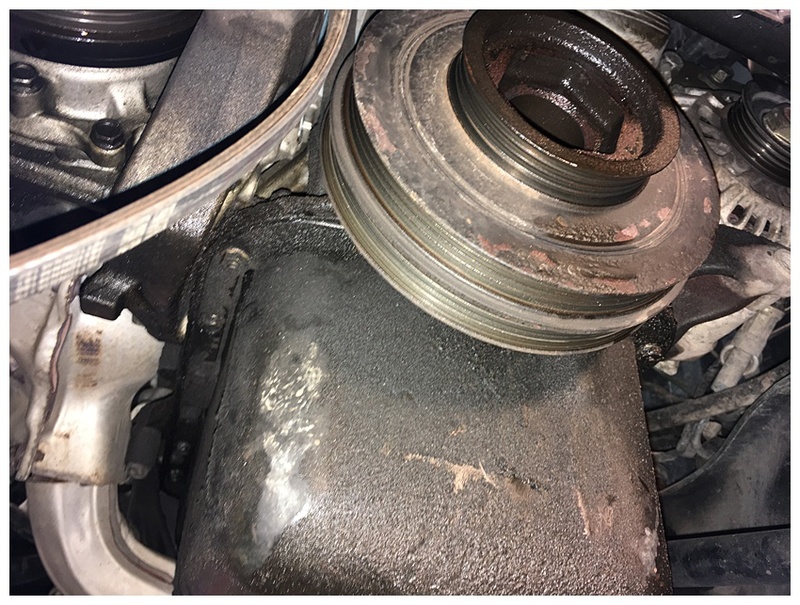 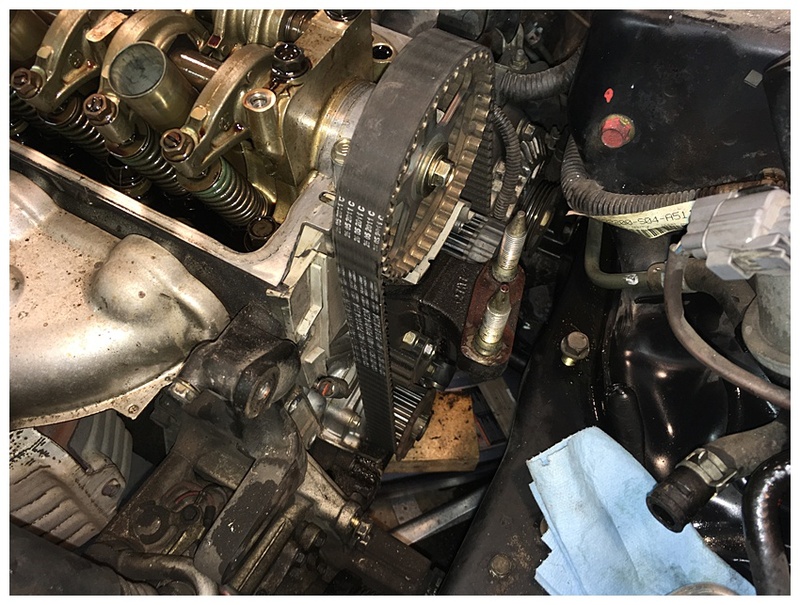 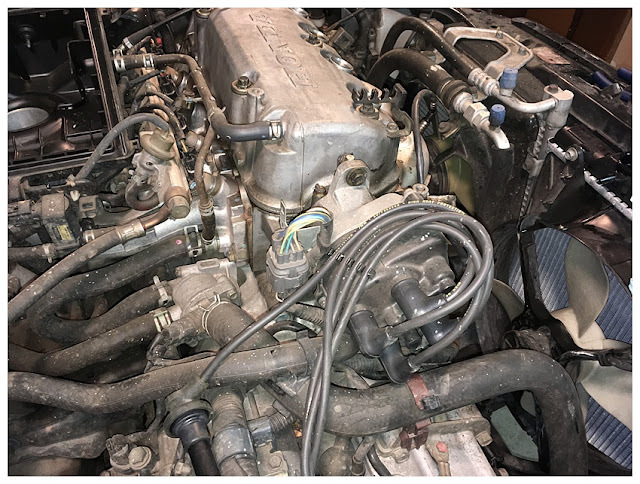 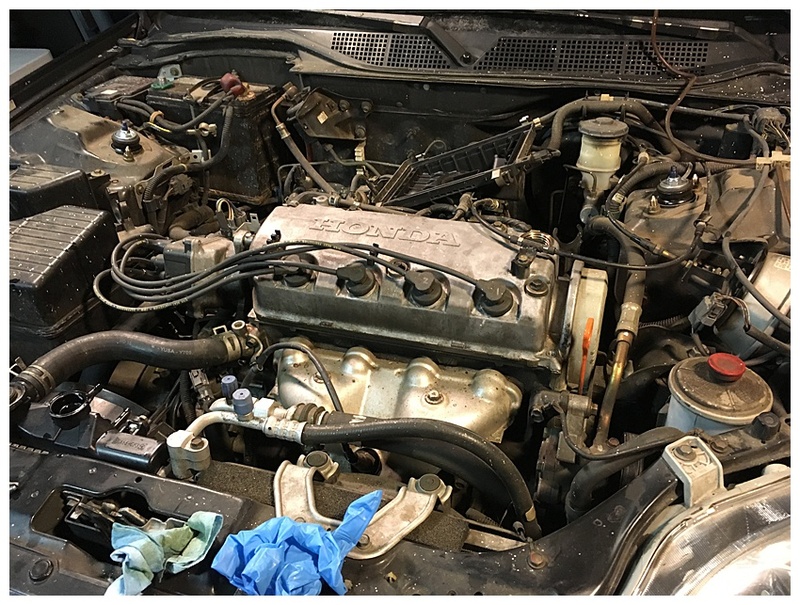 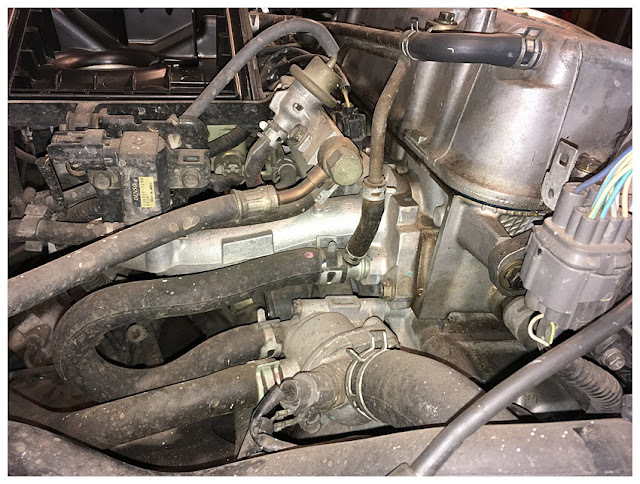 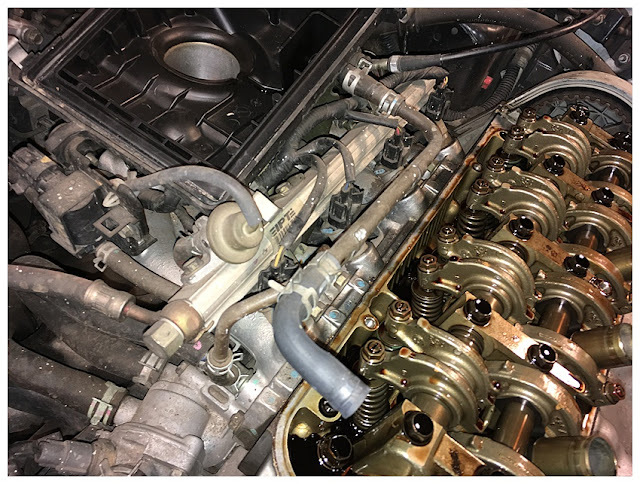 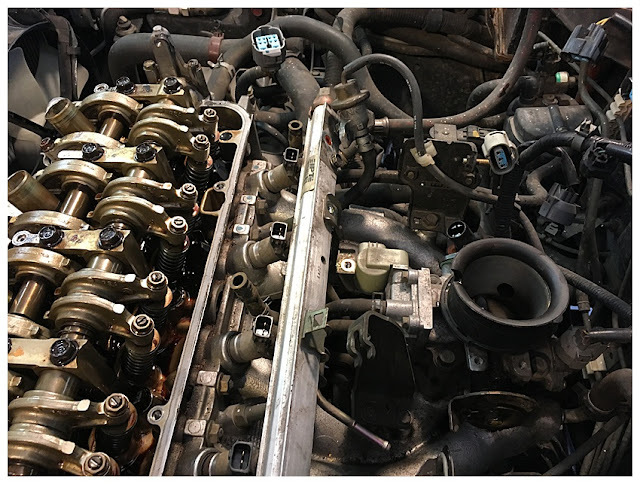 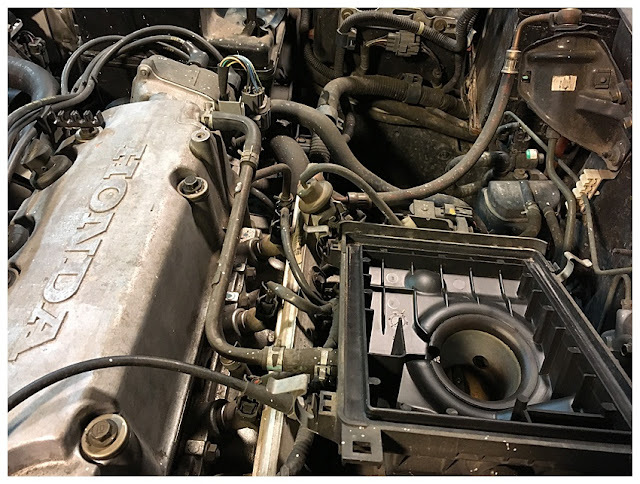 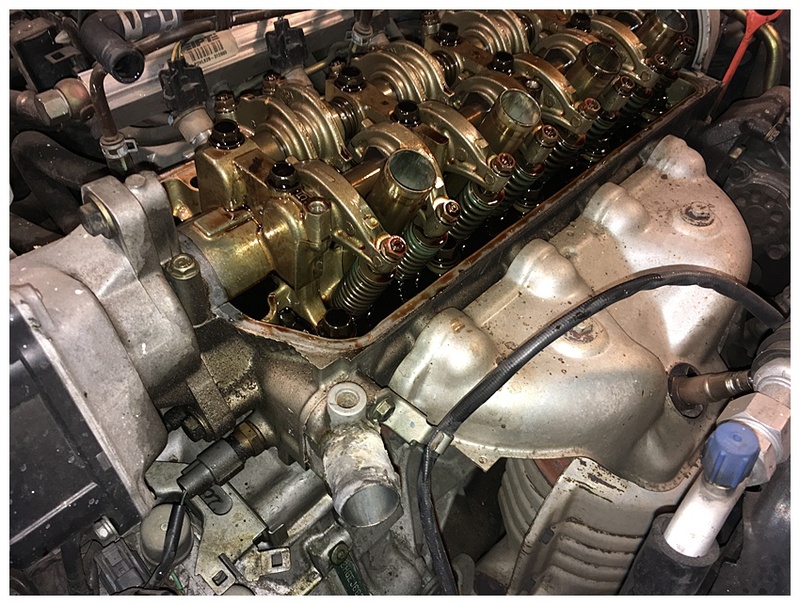 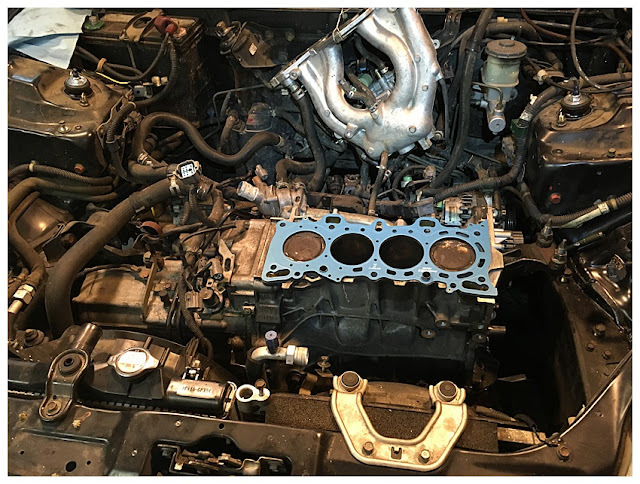 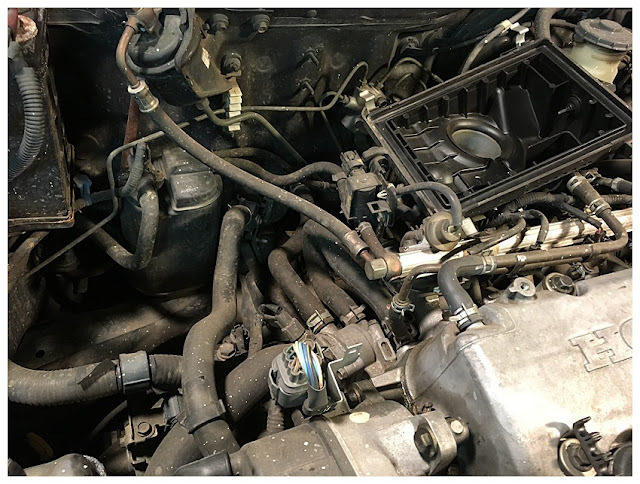 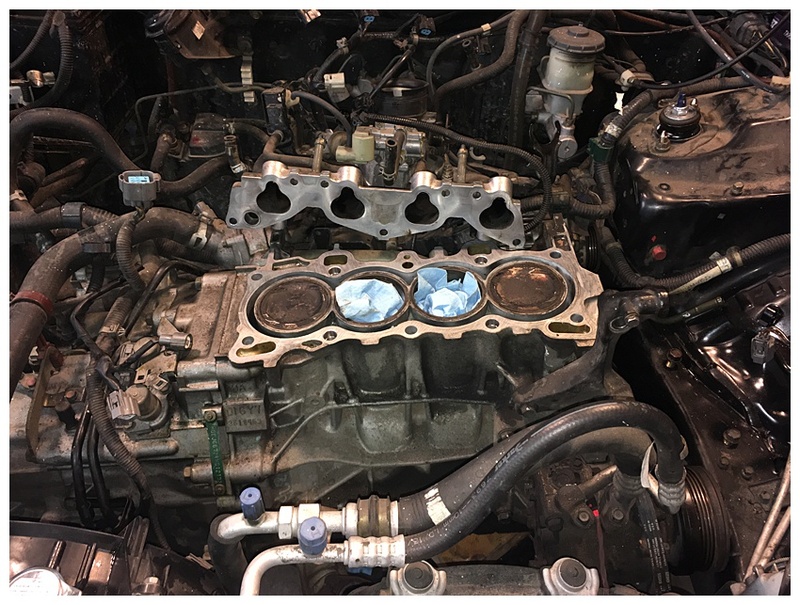 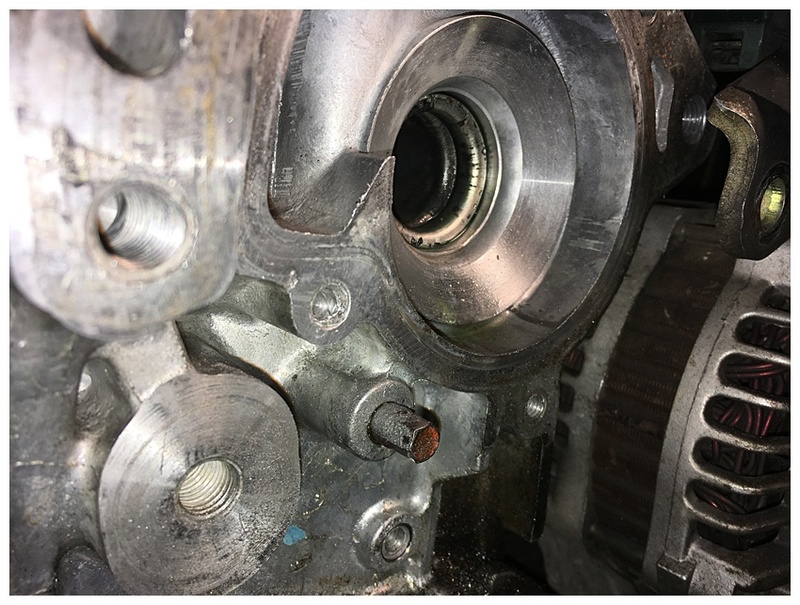 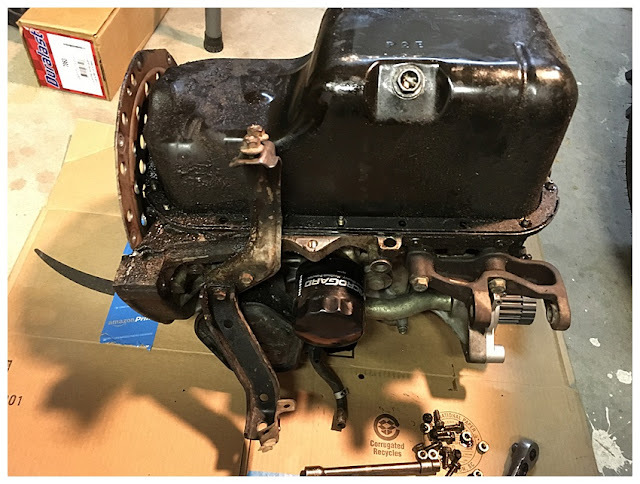 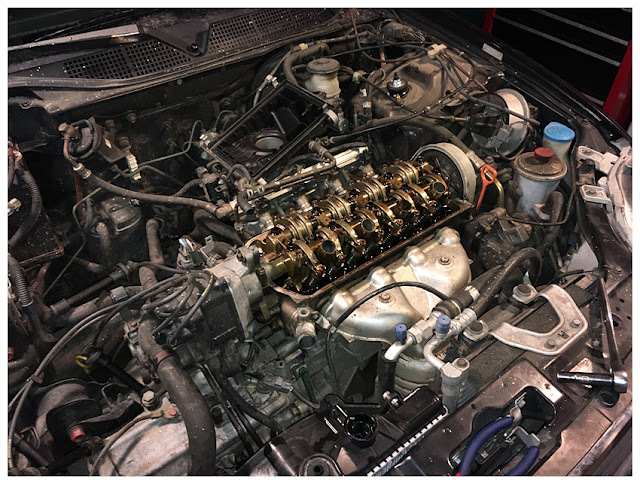 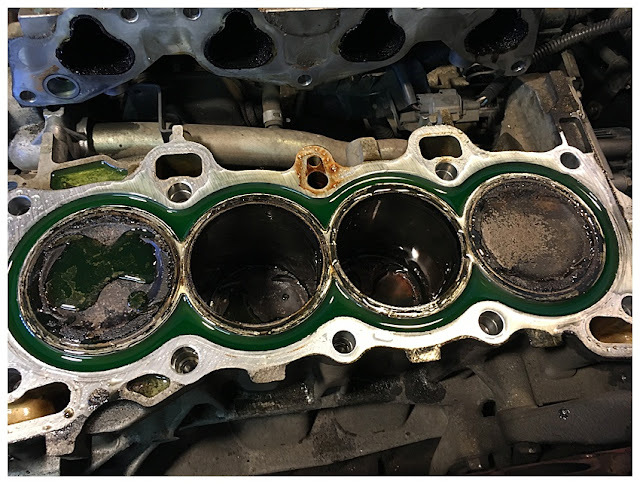 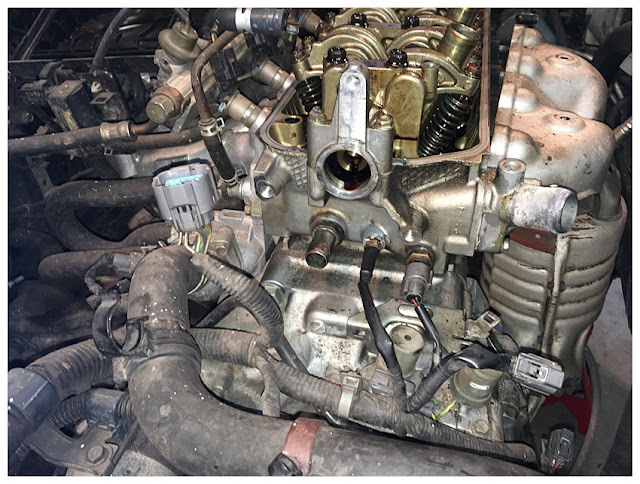 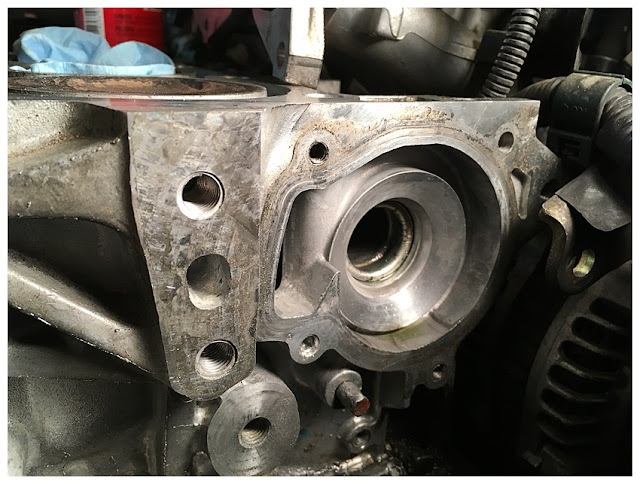 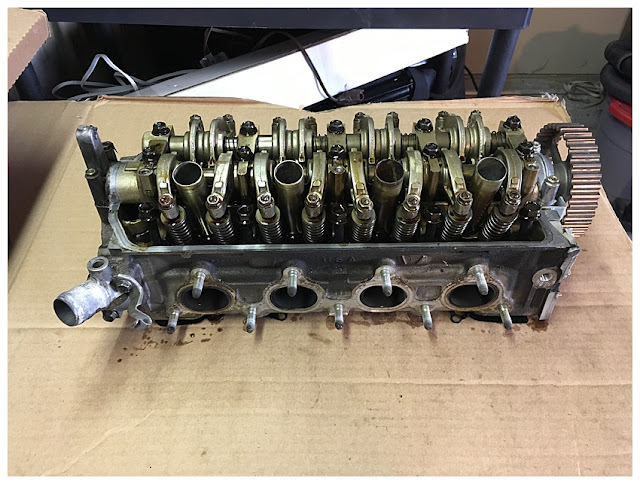 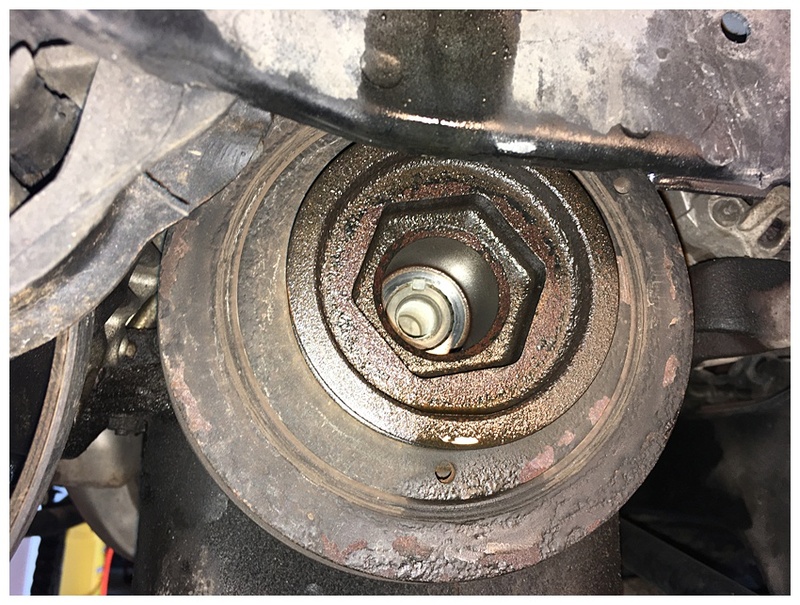 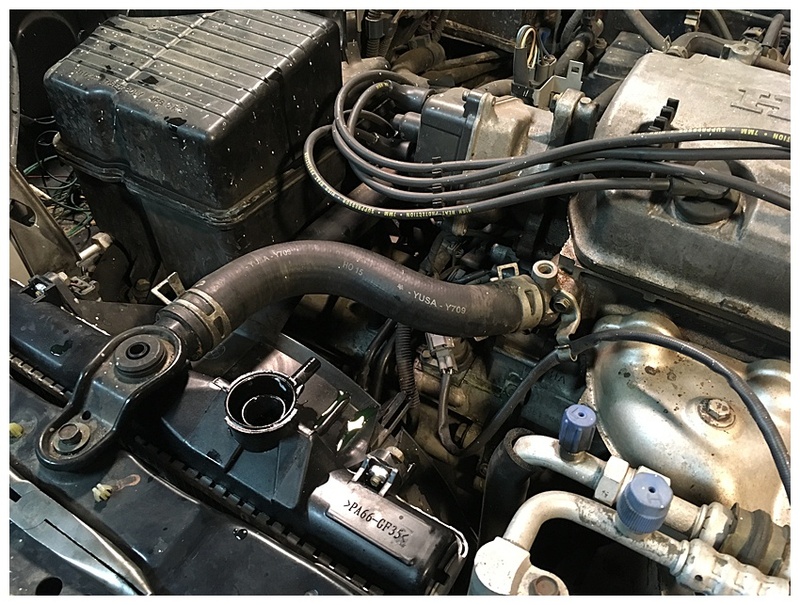 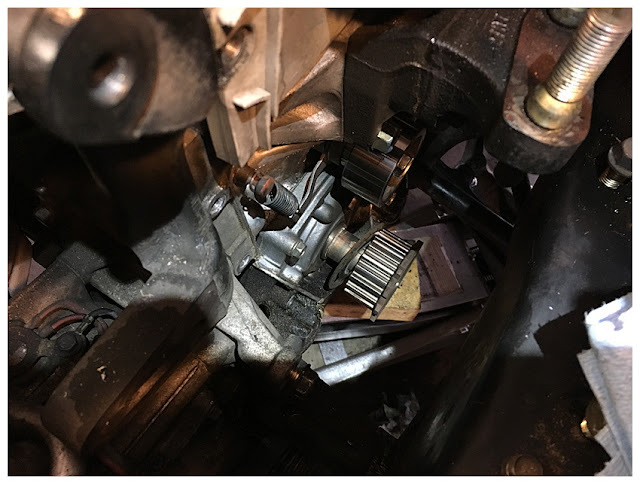 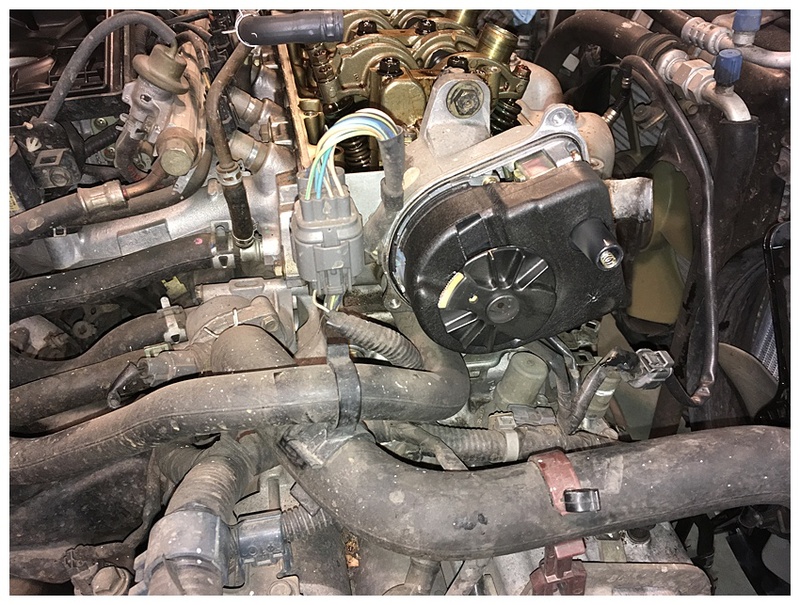 To have someone else complete the repair including timing belt, water pump, head gasket and machine the head and work on the valves would have been more than the cost of the car. 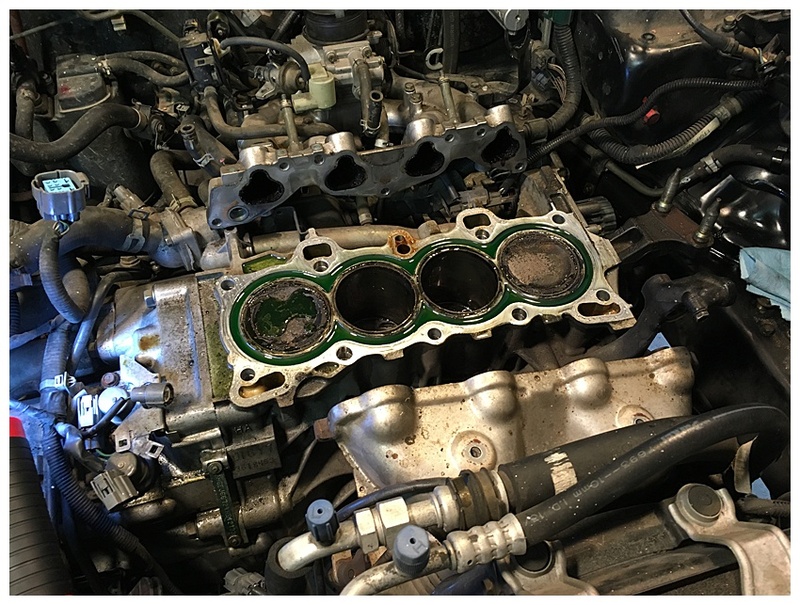 Repairing the engine of the car is no joke but what did I have to loose? The first step was to be sure I was tracking the right thing. 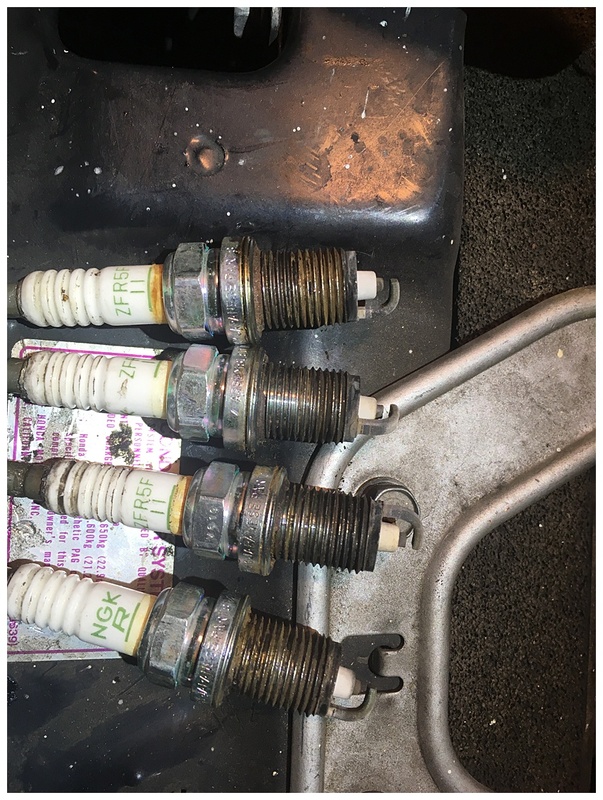 The oil was clear and didn't look like coffee creamer and the spark plugs were relatively clean. 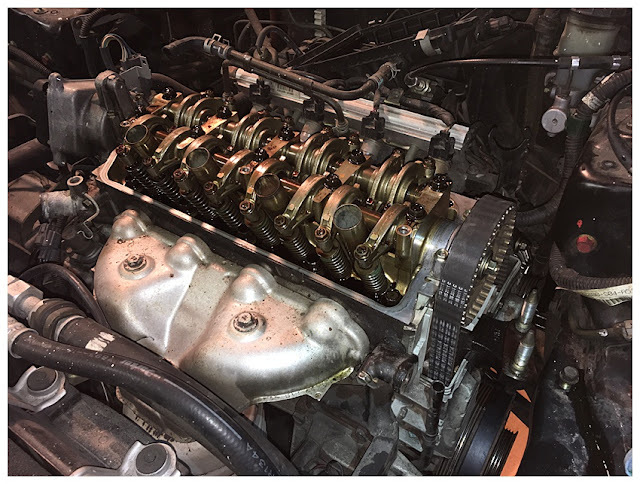 The timing belt was in pretty good shape and was not ready to be replaced yet but if I was all they way down to the head gasket it make sense to replace it as well. 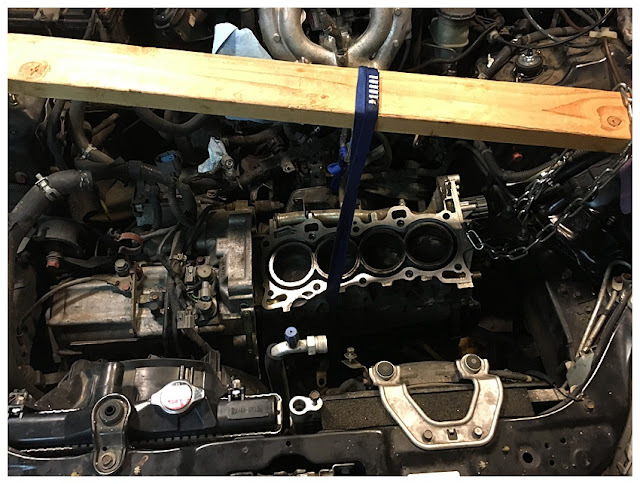 Remember that photo above because the entire engine will "soon" be out of the car. 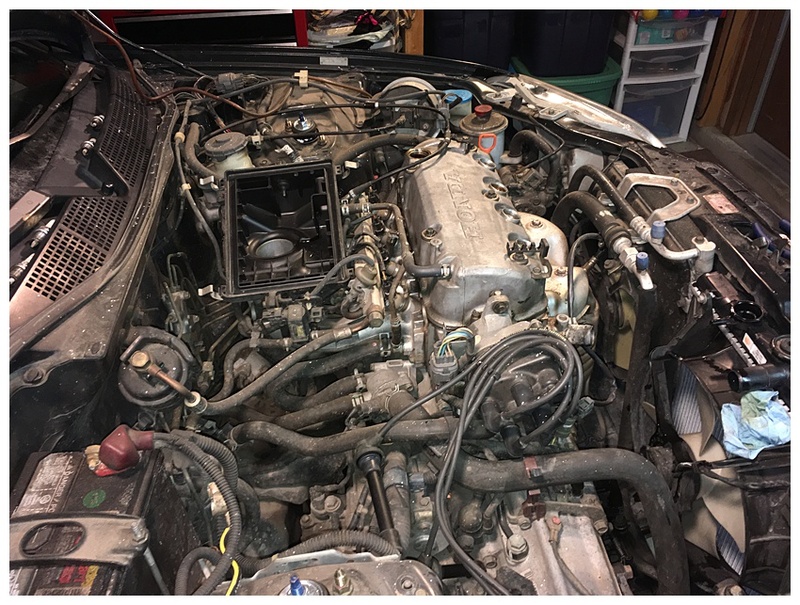 I cannot end this post without a huge shout out to Eric the Car Guy and his great channel. He was so much help in tackling this project although I made my fair share of mistakes.